Nxt手机钱包集成EAC地球币消息公告,地球币EAC手机钱包 - 区块链新闻 - BTCEAC区块链地球村 - Powered by Discuz! Through the in-depth communication between the Earthcoin Eac community and the future currency Nxt community, the Future Currency Nxt community has agreed to integrate the Earth Coin Eac into the Nxt mobile wallet. 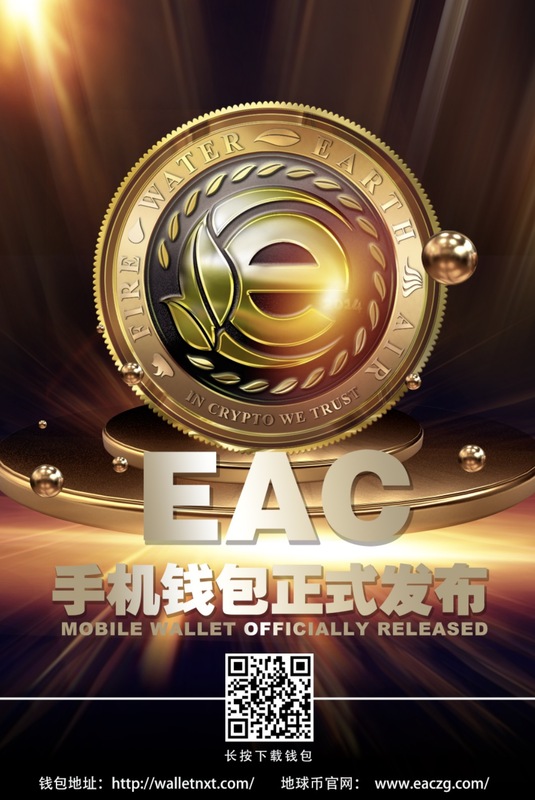 After the unremitting efforts of the future Nxt R & D personnel, the future currency Nxt mobile wallet has successfully integrated the Earth Coin Eac, you can carry out the operation of the Earth Coin Eac transfer, transfer, and view the market in the wallet, welcome to download and test. Finally, I would like to thank the developers for their hard work and hard work! PS: The Earthcoin Community Foundation plans to reward the developer with the Earthcoin! After installation, create an account, add the Earthcoin EAC currency, and activate. It is acceptable to send the earthcoin. It is recommended to test Ha. Safety first, a small amount to join! GMT+8, 2019-4-26 05:43 , Processed in 0.041777 second(s), 24 queries .